The family of a teen attacked inside a Chula Vista restaurant will hold a silent protest outside of the eatery Wednesday to raise awareness about bullying and to encourage anyone who witnessed the incident to come forward. 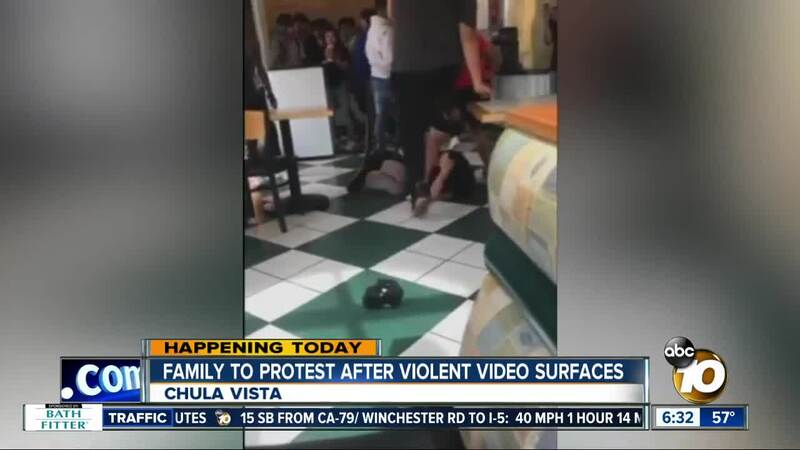 CHULA VISTA, Calif. (KGTV) - The family of a teen attacked inside a Chula Vista restaurant will hold a silent protest outside of the eatery Wednesday to raise awareness about bullying and to encourage anyone who witnessed the incident to come forward. On April 11, Margarito Martin’s 16-year-old son was waiting inside Cotixan Mexican Restaurant (1392 E. Palomar St.) when he was assaulted by several teenagers. “Eight people throwing chairs, stomping on his head and robbing him; that’s a mob,” Margarito Martin said. According to Martin, the teens jumped his son because he told someone to stop harassing one of his friends. As Martin’s son was punched and kicked, numerous people inside the restaurant stood and watched, or recorded the incident on their cell phones. Martin is upset that no one stepped up to stop the beating, which is why he and his family are holding a silent and peaceful protest in front of the restaurant Wednesday at 5:30 p.m.
Martin told 10News he and his wife filed a police report over the incident, but he said the Chula Vista police officer’s response did not sit well with them because it appeared the teens responsible would not be held accountable for their actions. “He told me that because they’re minors, they were going to get a slap on the wrist and community service, and to be sincere, nothing was going to happen,” Martin said. Chula Vista police are investigating the attack and may provide an update later in the day. Meanwhile, the restaurant was closed Wednesday, with a sign posted on the door confirming the closure due to "current events."